You might have come across the term thermal imaging, especially if you are purchasing a home. Thermal imaging is a relatively new tool used among skilled home inspectors. By using thermal imaging during home inspections, the home inspector can detect areas with unusually high or low thermal radiations. Possible structural, electrical, and mechanical issues may be discovered with thermal imaging before they cause expensive damage to your home. Read on to gain more insight about thermal imaging during home inspections and how it improves home inspection reports. 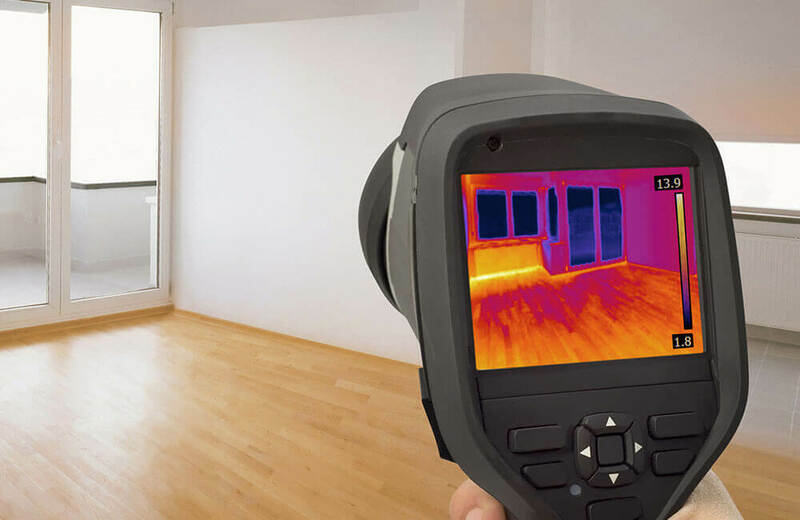 Thermal Imaging During Home Inspections: How Is it Beneficial? A thermal camera is used to generate pictures that show the amount of thermal radiation in objects and areas. Understanding the thermal nature of certain components of your home helps to determine whether the systems are working efficiently or not due to damage, poor installation, or wear and tear. Infrared images may be included in your final home inspection report if you work with a home inspector who uses thermal cameras during inspections. These infrared images show changes in thermal energy that would otherwise go unnoticed. These changes may indicate underlying issues that need to be repaired as soon as possible. Thermal imaging during home inspections can reveal hidden issues with energy efficiency, electrical hotspots, and excess moisture. If your home is not well-insulated, energy is wasted trying to maintain a comfortable room temperature. During the winter, cold air gets into the home and your furnace works harder to keep the home warm. During the summer, cool air escapes your house, making it hard for your air conditioner to keep the house cool. Thermal pictures give insight into possible problems that affect energy efficiency and use inside the house. Electrical systems in a home should appear as a consistent temperature block when viewed via a thermal camera. If one section of the electrical system appears significantly hotter, there may be electrical hotspots. Electrical hotspots are dangerous as they can cause house fires if not repaired. All homeowners fear water damage and excess moisture issues like mold and mildew. Unfortunately, most water and moisture problems can go unnoticed until long after the damage is done. This is where infrared imaging comes in handy. Objects with excess moisture in thermal pictures often appear to be abnormally cooler than other components. While infrared cameras do not enable home inspectors to see through walls, they do provide further insight into the general condition of a house. If you hire a home inspector who uses infrared cameras, you will get more comprehensive information about the house in the final home inspection report. A home inspection should help you learn all you can about a house before purchasing it, so be sure to hire a home inspector who uses thermal imaging during home inspections. Spot On Inspection offers professional home and commercial property inspections including thermal imaging to Houston and the surrounding area. Contact us to book an inspection.